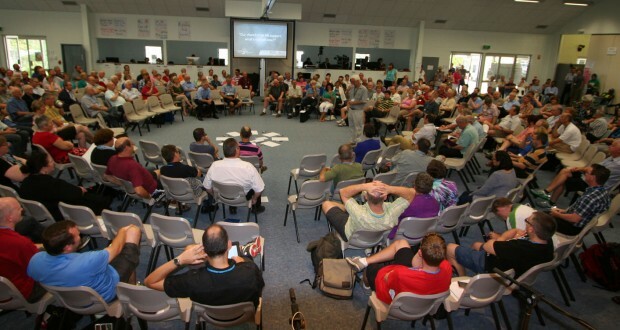 The open space discussions come after a sobering report from Mission Engagement Project officer Scott Guyatt which indicated that if current trends continue, the Uniting Church in Queensland will cease to exist within 35 years. The agenda for the day is set by the members of Synod themselves, who raise topics for small group discussion within sessions that have only loose start and finish times. Members can join or leave the small groups however they feel led. Notes from the discussions will be fed back to a central online system and be collated overnight for more formal discussion tomorrow, which will then drive the priorities of the Synod moving forward. There is a buzz on the Synod floor and members are talking animatedly in their groups. Open space discussion will happen all day, with formal business temporarily resuming this evening. From the biblical narratives, we know that the church growth is totally depended on evangelism, discipleship and disciple-making. When I talk about evangelism and discipleship, I don’t mean programs, events or projects. It should be done on building up relationships with the community. We are tired of doing programs but we do not enable the members how to develop healthy relationships with others who don’t believe in Christ and share and lead them when they want to pursue it in gentle and also respectful ways. Incarnational Evangelism is what we need now. 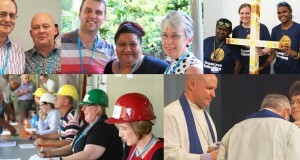 At present, evangelism and discipleship become bill-board slogans in our church.